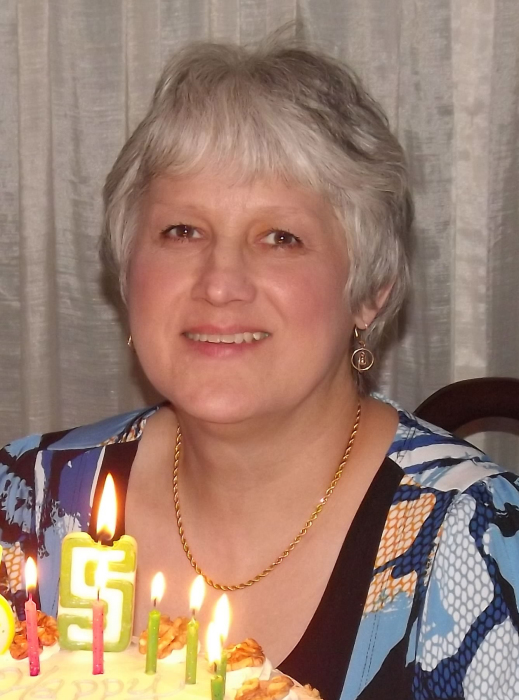 BARBERTON---Julia Helen (Ferencz) Senderak, 61, of Barberton, passed away on Tuesday, Sept.11, 2018. In her own way, she quietly but valiantly lived three and one-half years with cancer. She had cancer, but it didn’t have her. She never used having cancer as an excuse to make her life easier. Even though she faced her last months with increased suffering, she endured each day with stoic fortitude. Julie was born March 15, 1957 in Macedonia, Yugoslavia while her parents were waiting to immigrate to the “Land of Freedom” at the time of the Hungarian Uprising. She first lived in Pittsburgh. When her mother Julia (Gancs) passed away, she was brought to Akron at the age of four to live with her great uncle and aunt, George and Julia Gancs. She was a 1975 graduate of Kenmore High School. Having received her Bachelor’s degree from the University of Akron in Medical Technology, she began a 39 year career of working in the laboratory at Akron General Medical Center. Julie was a faithful member of Saint Nicholas Byzantine Catholic Church where she sang in the church choir and prayed with the Rosary Society. She was an excellent cook and excelled in Hungarian cuisine, with her palaczinta being absolutely the best next to any paprikash dish she put her hand to. She added extra love to every dish, meal and dessert she made. She loved her family, reading, gardening and in recent years everything opera. She especially enjoyed attending the local theater simulcast of “Operas, Live from the Met”. In addition to those mentioned, Julie was preceded in death by her infant son Nicholas, brothers Laszlo Ferencz, Gabor Ferencz, brother-in-law Francis Senderak and cousin Alice Sharkey. She is mourned by her loving husband James, with whom she would have celebrated 36 years of marriage on October 2. She was so very proud of her daughters Emily (Matt) Bertram and Sophia. She encouraged them and took pride in all they have accomplished. She leaves her niece Dr. Veronica Ferencz (Kedrick ) Maize, nephews Gabor (Laurie) Ferencz, Rob Sharkey and cousin Cynthia (Bob) Price. Also brother and sisters-in-law Deacon Eugene (Mary Ann) Senderak, Carol Senderak (Tony) Vargo, Mary Ann (Julijan) Corej, John (Janice) Senderak, Martha Dantz (Tim) Thomas, and Joseph Senderak, with whom she shared her love of sewing. Aunts, Julia Gaida and Sr. Mary Geraldine Vargo. Cousins-in-law Julie (Larry) Crookston, Mary Ann Conway and additional extended family. Calling hours will be held on Thursday, September 13, 2018 from 5 to 8 p.m. at the SILVA-HOSTETLER FUNERAL HOME, 1199 Wooster Rd. W., Barberton. Parastas service at 7:30 p.m. Funeral Service will be on Friday, September 14, at 11:00 a.m. at St. Nicholas Byzantine Catholic Church, 1051 Robinson Ave., Barberton, where Julie will lie in state One Hour Prior to the service. Interment at St. Nicholas Cemetery. Memorials may be made to the church.